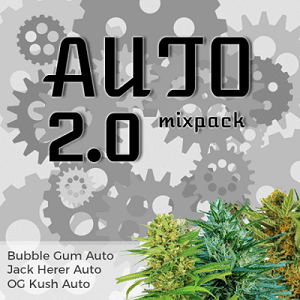 Autoflowering seeds offer the fastest and easiest way to produce your own marijuana plants, buds and harvest. The ease and simplicity with which they grow and flower, requires very little experience or previous growing knowledge. Often referred to as ‘throw-and-grow’, autoflowering seeds have become extremely popular with ‘guerrilla-growers’. Planted outdoors their reduced size makes them easy to disguise and camouflage, while their auto-flowering capabilities ensure a high quality, generous harvest, even during the height of Summer, when traditional marijuana plants are still in their vegetative stage. Typically, autoflowering seeds are planted outdoors from the early part of Spring, through to late Summer. Warmer countries with a longer growing season can continue planting later into the year, and with the shortest growing and flowering cycle of any marijuana plants, autoflowering seeds are capable of producing several crops per year from the same space. Many growers germinate their seeds indoors, allowing the seedlings a week or so to become established before planting them outdoors. Repeating this process two weeks before harvesting the first crop, speeds up the time between harvests to under sixty days, allowing the area to produce a high quality, regular harvest every two months throughout the entire growing season. We offer a selective range of the highest quality autoflowering seeds, all feminized and stable, guaranteed to produce the finest, fastest-flowering autoflowering marijuana plants. With only the female capable of producing buds and cola’s, ensuring that each and every seed you purchase generates a pure female plant is extremely important, one rogue male could easily pollinate an entire crop of female plants, turning them from generating flowers, to creating seeds. Traditionally, growers would plant their seeds outdoors during the Spring, allowing them to grow and develop throughout the Summer months, culminating in the plant flowering and budding, as the daylight hours reduced to below twelve per day towards the end of the Summer. The plants would finally produce a large, single harvest from their area, once a year. 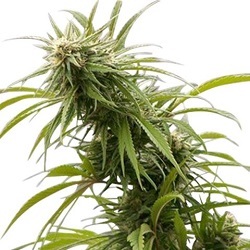 Unlike both regular and feminized marijuana seeds, autoflowering seeds do not require a reduction in light hours to begin flowering, it begins automatically, as soon as the seedlings become established and begin to produce their first real leaves. Once started, autoflowering marijuana plants require approximately two months, or just sixty days to fully grow, flower and mature, regardless of the number of hours of darkness they receive. In fact, the longer the hours, and more intense the sunlight, the bigger the buds become, producing their best and largest yields during the very height of Summer. Yields are smaller than traditional feminized seeds, but the speed and ease with which the plant’s grow, allow several crops to be planted and harvested from early Spring through until the Fall. Living in colder climates, with shorter Summer’s and a faster onset of Winter, often prevents people from growing marijuana outdoors. Living in Canada, or northern parts of the USA such as Colorado and Alaska, severely limit outdoor growing options, with very short Summer’s and cold Fall’s. Growing traditional marijuana seeds here would be impossible, by the time the plant’s started to fully flower, the cold, damp air would prevent good bud formation, and substantially increase the chances of rot and mold developing. However, even in northern Canada and Alaska, it’s possible for autoflowering seeds to receive the required sixty days of sunlight and warmth to fully grow and mature, especially if the seeds are germinated and sprouted, prior to planting outside. Although northern growers may not get the opportunity to produce the several crops that growers in places such as Florida, and California, get to enjoy, autoflowering seeds do offer the chance of a successful outdoor harvest almost anywhere, and with very little care, knowledge or attention. 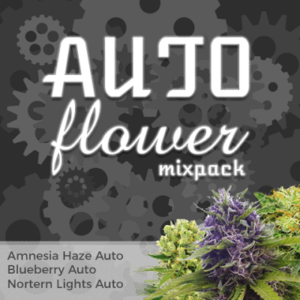 Click Any Of Our Recommended Fast Autoflowering Seeds To Learn More.